There can only be one of these gem bracelets. The gems are berry-colored natural spinel. 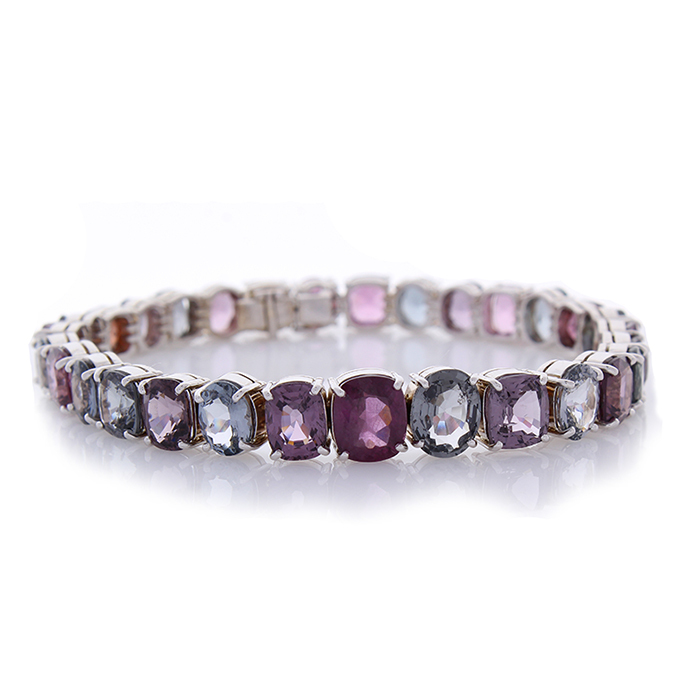 The gem source is Sri Lanka; the luster and transparency is what you want; 39.20 carats of multi-colored raspberry and blueberry spinels make up this straight line bracelet. The colors are incredible. Each seat of this bracelet was built by hand to fit the 30 spinels that graduate from 8.9 mm to 5.8 mm in 18k white gold.